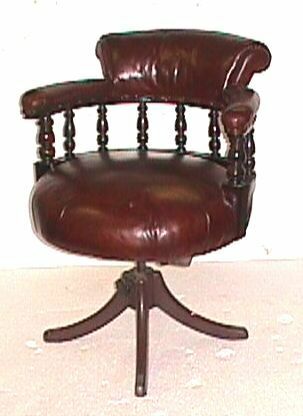 This captain's chair is from the 1930's. It rotates and goes up and down. It has no castors. It was recently upholstered in a dark tobacco colour leather.